Trialled Lead Forensics but don’t want to pay those inflated costs/want a product that achieves more. 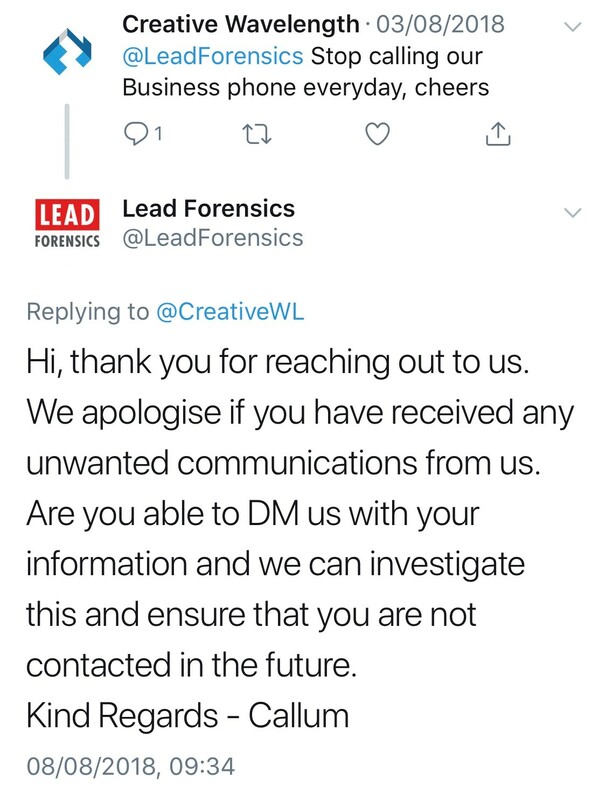 Previously paid for Lead Forensics, realised it wasn’t as wonderful as they thought it would be, and came to us. 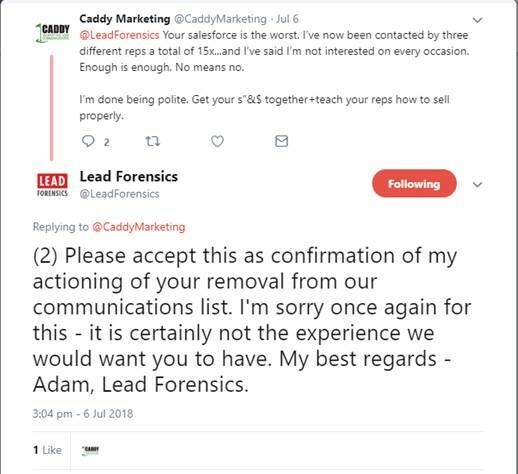 The biggest success factor for Lead Forensics is their relentless pushing potential customers into becoming triallers and buyers. At the same time, that’s their biggest failure, leading to people making complaints about their seemingly endless pushing them to try their product. 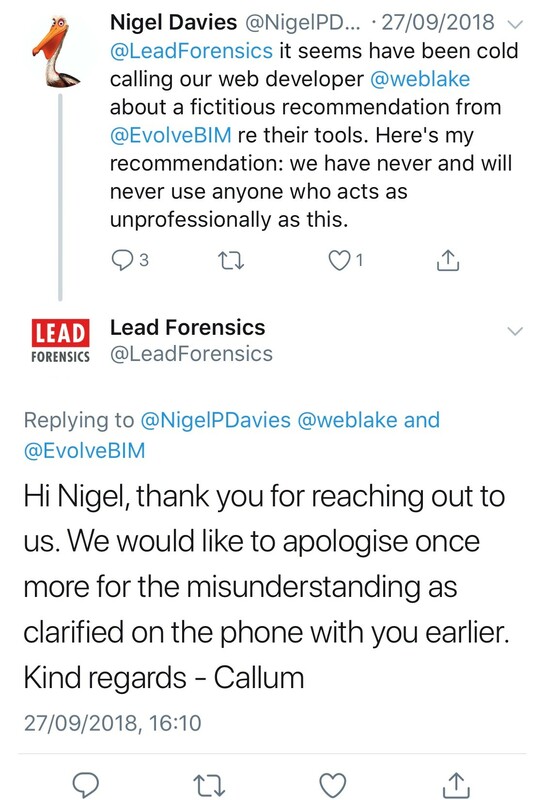 This page isn’t about the pros and cons of the Lead Forensics product – it’s about what real people complain about them. People complaining using platforms such as Twitter, for example. 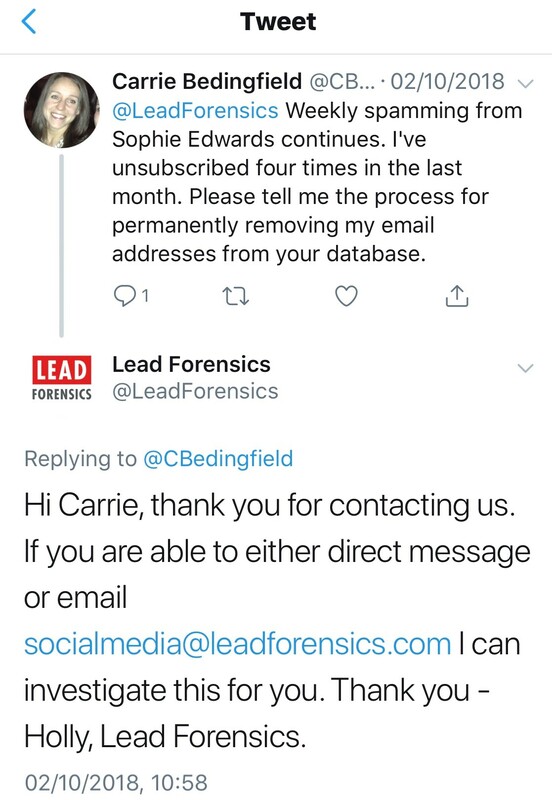 If you went to look at Lead Forensics on Twitter, you’ll likely find it hard to find complaints about them – this is because they try to drown those out by posting a load of other stuff on Twitter. So we’re here to help you focus on those complaint tweets and more. 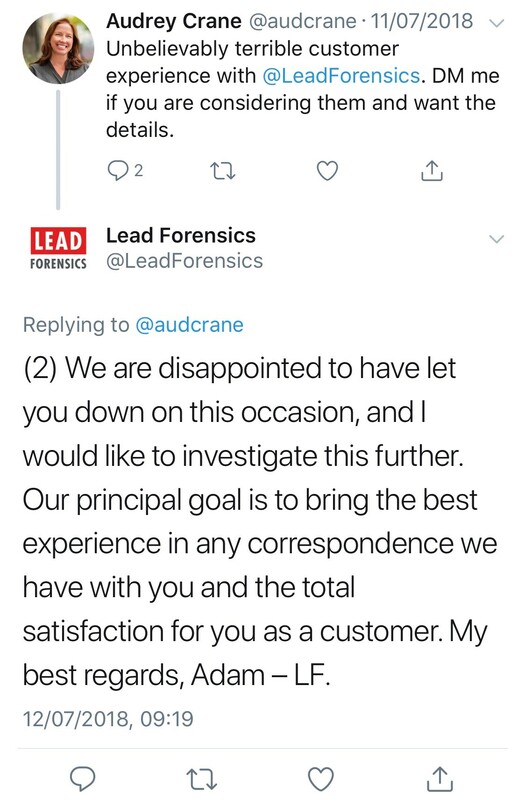 Hound people until they trial Lead Forensics. Encourage them to buy from the trial. Lock them into a 12 month contract. Keep them away from providers such as us (A1WebStats) who provide a month to month payment with no contract. 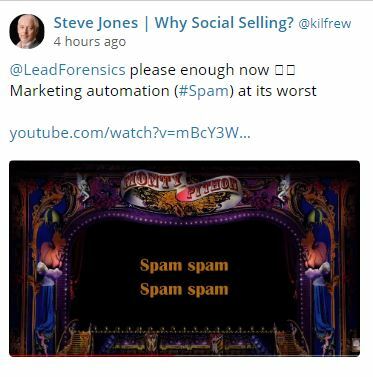 Nice touch from @kilfrew, including the link to Monty Pythons Spam – https://www.youtube.com/watch?v=mBcY3W5WgNU. 1 star review was probably being too kind. 3+ years hounding. Ouch! 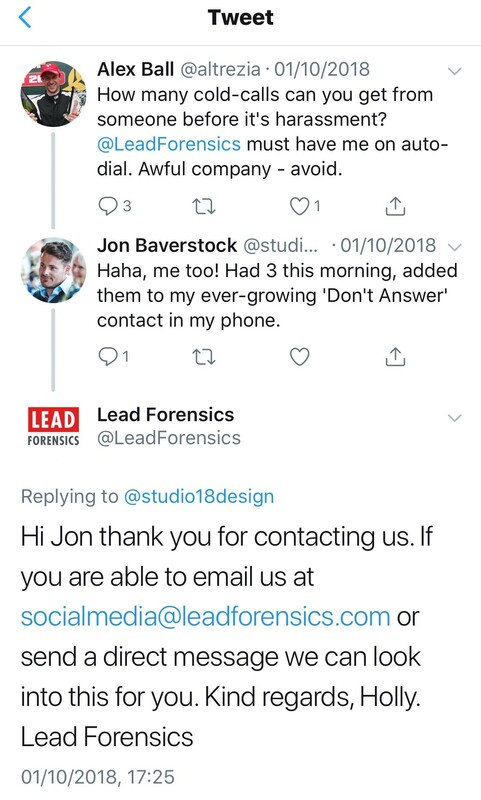 The reason that Lead Forensics constant cold call is because it sometimes gets results. 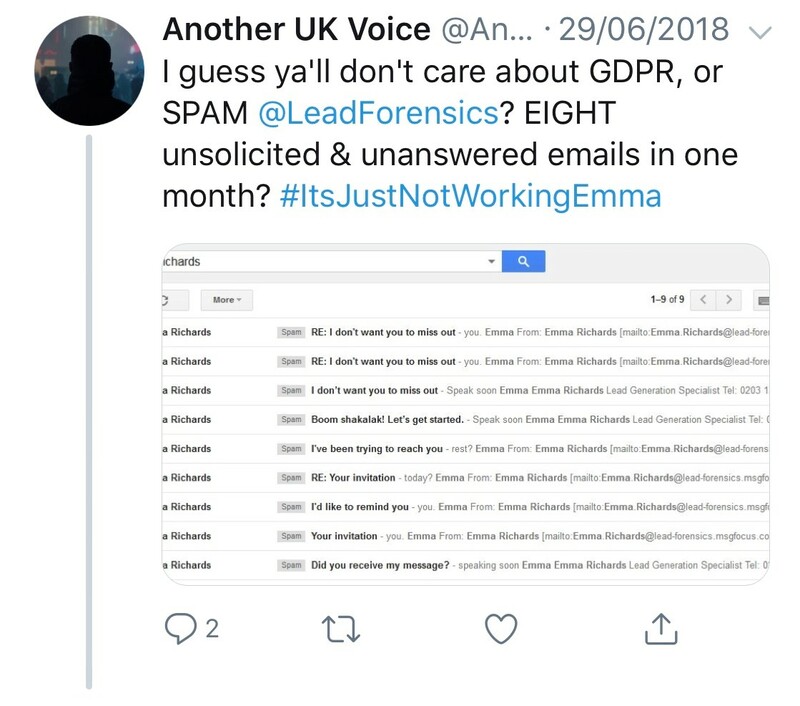 From many cold calls come one victim, locked into 12 months of buyers remorse contract. 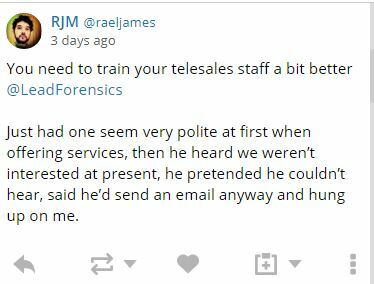 Not that it’s right to cold call of course, as the complaint below highlights. We’ve heard this before many times (fictitious recommendations). 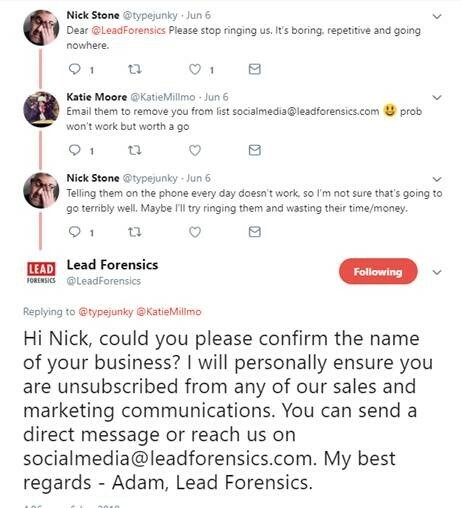 Just one of the sales tactics used. 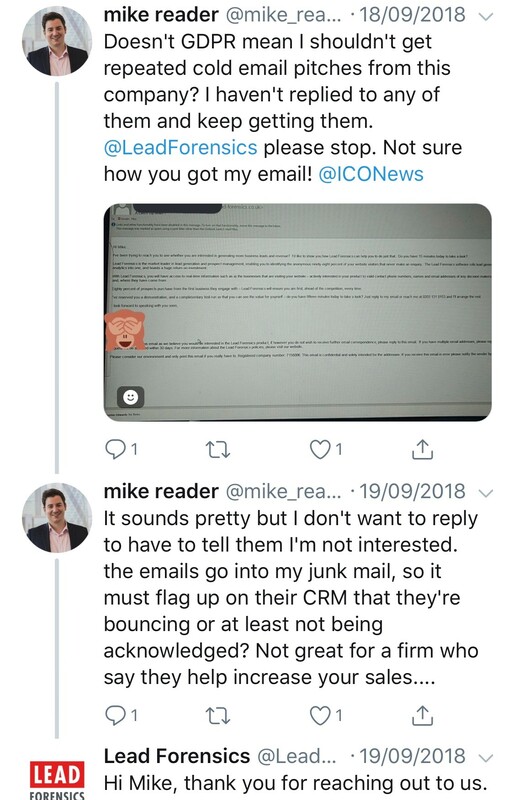 Apparently, Lead Forensics (according to them) are on the right side of the ICO. Complaints like this and others imply that either they are telling porkies or the ICO is blind to what’s going on. Pretending they’ve got an appointment with someone in a company that has just the one employee. Classic!